Every fall I like to do a theme on scarecrows. 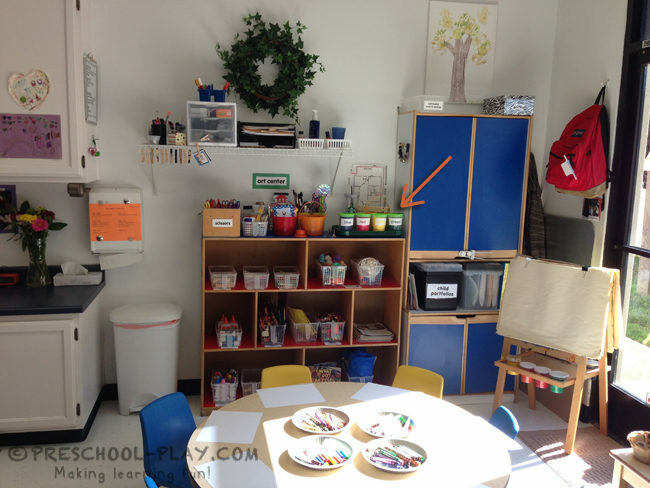 There are so many great books, songs, poems and art projects that can be utilized. My students especially enjoy making paper plate scarecrows and shape crows. 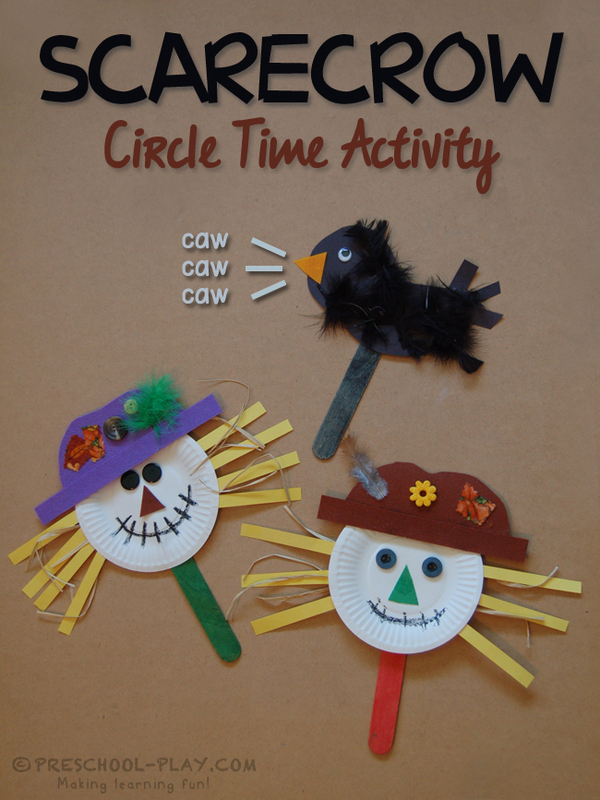 They glue them onto jumbo craft sticks, and they’ve got the perfect hand props for our Sammy the Scarecrow circle time activity! The children hold their props while I recite the action poem and demonstrate the appropriate motions. After reciting the poem a few times the children enthusiastically join in. If the children wish, they can take turns being scarecrows and crows. I often repeat this activity throughout the fall months. It’s always a hit and it helps to strengthen listening, memory, and recall skills. It also develops phonemic awareness. Our traceable monthly calendar packet has been updated for the school year of August 2018 – July 2019. At the start of each month I have my pre-k students make a calendar. They enjoy the process and they get excited to take them home and proudly display them on their refrigerators. And me? Well, I get excited about ALL of the learning opportunities that these simple little calendars hold. At the beginning of each month talk about the weeks ahead and any important events that will be occurring. 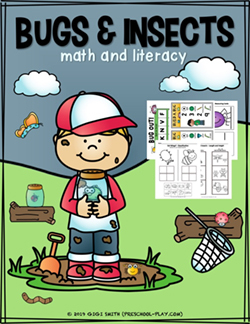 Have your young learners trace the numbers. 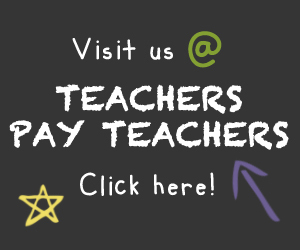 I recommend working with them individually or in small groups. At the start of the year, some children may struggle to complete their calendars due to the level of difficulty and/or a short attention span. And that’s okay. Growth will be obvious as the year progresses. While working with children, stress the importance of a proper pencil grip and writing left to right and top to bottom. There is a black dot on each letter and number on the calendars. Encourage your students to get into the habit of placing their crayon or pencil on that starting point. This will help teach them proper formation. This pack includes 2 sets of calendars. One set features a seasonal graphic next to the month, and the other does not. 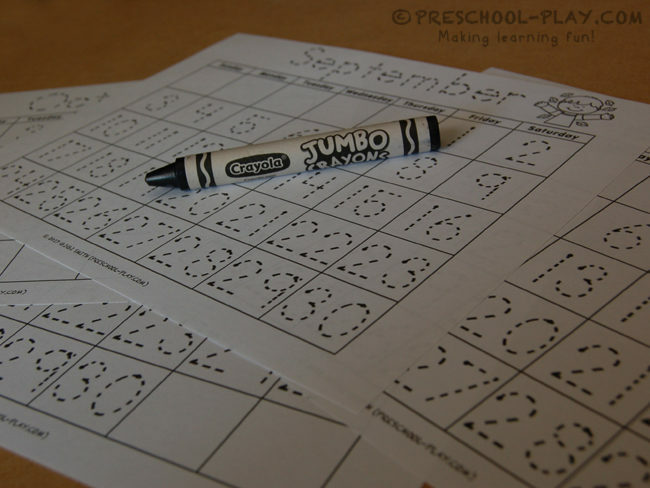 Letters and numbers are marked with a black dot starting point that aids proper formation. Calendars that are missing numbers are for students that are developmentally ready to recognize and write numbers, and can be introduced accordingly. The amount of missing numbers increases each month with June have the most (12). 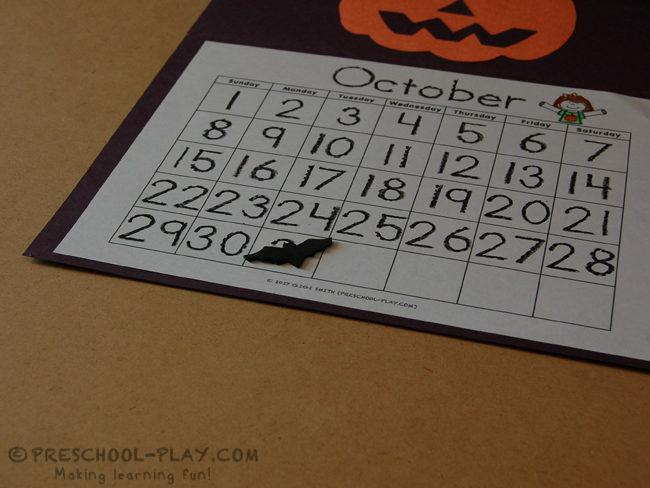 Once the calendar is complete, kids may glue them onto a large piece of construction paper and decorate the topper in conjunction with its calendar. Provide stickers for significant dates (e.g., birthday, holiday. etc.) to reinforce the skills mentioned. GET THIS 2018-2019 MONTHLY TRACEABLE CALENDAR PACK. I put together these cute yarn cans for my self-help art shelf. They are easy to make and keep the yarn contained and neat. I used plastic mason jars, but any plastic container with a lid will do. Simply fill the container with yarn, poke a hole in the lid, and pull a small amount of yarn through the hole. The children can then pull out the length of yarn they want, and cut with scissors (this may take some supervision with younger children). 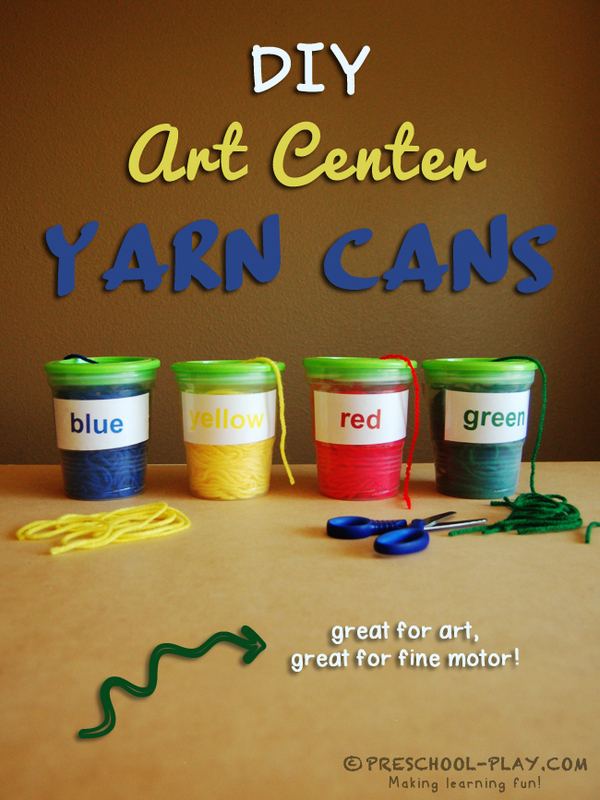 Finally, label the can with the corresponding color name of yarn.